The traditional route of education, followed by the steady 9 til 5 until retirement, is becoming less necessary and to many, increasingly less appealing. The rise of technology has brought new tools and freedoms that are changing the parameters of the working day. The Internet has allowed the likes of Mark Zuckerberg and Instagram celebs to conquer the world, all from their bedrooms. And while not everyone has aspirations to change the face of communication as we know it, many people have a business idea they want to try out. A multi-hyphenate approach helps navigate what that new style of working looks like. 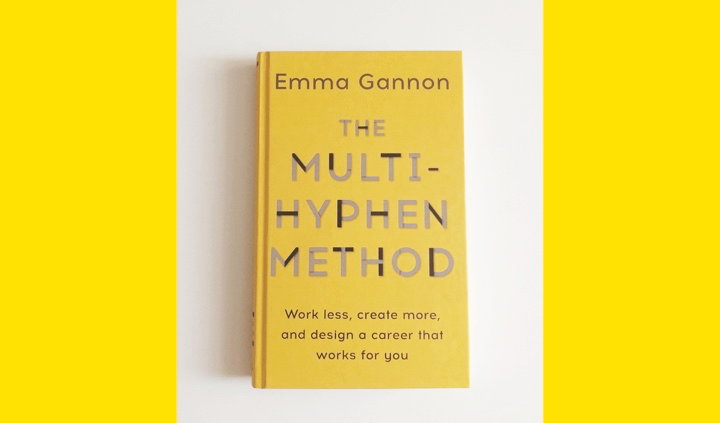 Emma talks about creating your own career puzzle, where you design the lifestyle and work-life balance that suits you, rather than focussing on one career path. She gives practical steps on how to spot and avoid burnout and the dangers of glorifying being busy. By setting out steps to work less but still maximise potential earnings, the book stresses the importance of knowing your limits and working within boundaries that you set for yourself. So if that means taking a bath in the middle of the day when you're working into the evening, we're pretty okay with that. Buy the book here.